Cashkaro.com - My experience and a Review! When I received a mail from the PR of Cashkaro.com, asking me to check out the interesting concept, I was a little skeptical. I mean c'mon, why would anybody want to pay you for shopping, right? As it turns out, it actually is true. 1. Create your account on cashkaro.com. 2. Through the site, shop online like you always do. 3. And boom! 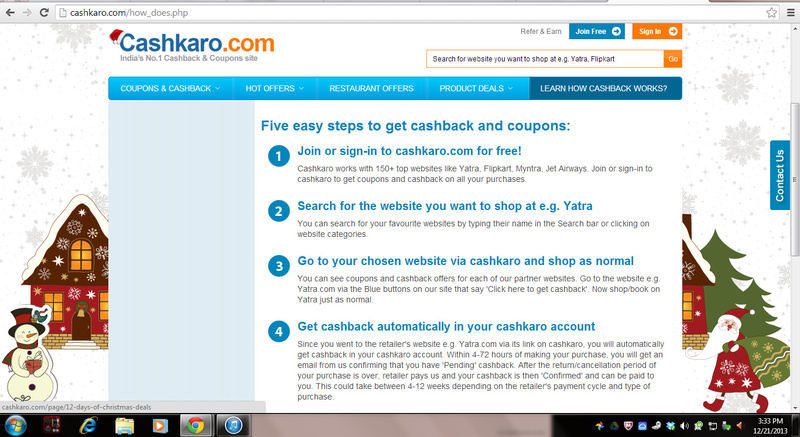 You get some cash in your account on cashkaro.com. 4. Once it reaches Rs.250/- request for it to be paid to you via cheque/bank deposit. What I love about this is, the answer for the question - why are you paying me money for shopping? Well, the folks at Cashkaro are transparent about it. Here's why. Contacting them is real easy :) Prompt replies, an excellent customer service. Plus One on that. I shopped at an online portal through them, and bought some stuff. And no, they weren't kidding about moneyback. 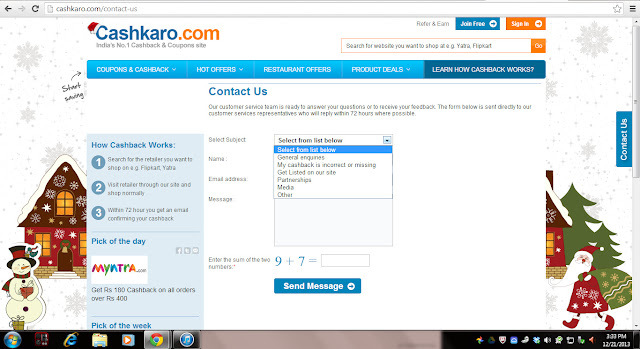 In my opinion, its definitely a trust worthy site, making online shopping a better experience.